Do you have a white powdery mildew on your pumpkin leaves? You’re in good company; so do I. 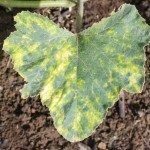 What causes white pumpkin leaves and how can you get rid of that powdery mildew on your pumpkins? Keep reading to find out more about treating powdery mildew on pumpkin plants. 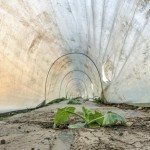 What Causes White Pumpkin Leaves? The reason we have a powdery mildew on our pumpkin leaves is because it is caused by a leaf infecting disease that is very common. The name is, in fact, “powdery mildew” and is given to a group of diseases caused by related fungi. Each one has a different host, but they all share the same appearance – a grayish-white, powdery carpet that can be seen on leaves, stems and flowers. Unlike other fungal diseases, powdery mildew thrives in warm conditions and does not require moisture to grow. While powdery mildew on pumpkins looks unpleasant, the good news is that a mild case isn’t fatal. That said, if left untreated, the disease will likely spread. Powdery mildew first appears as white, powdery spots. These spots gradually spread and a pumpkin that is severely affected may have a reduced yield, shorter growth time and pumpkins with little flavor. Before learning about treating powdery mildew on pumpkins, it’s a good idea to learn a little about its life cycle. In the spring, fungi begin to produce spores, which are then dispersed into the air. When they contact an appropriate host and conditions are suitable, they infect the plant. The initial white spots continue to expand and join as the infection progresses. The fungus overwinters on plant debris and then when the weather warms over 60 degrees F. (16 C.), the cycle starts all over again. Although powdery mildew doesn’t require watery conditions to germinate, high humidity is a factor. High humidity fosters spore formation. Temperatures between 60-80 F. (15-26 C.), shade, and high humidity are premium conditions for powdery mildew. If the powdery mildew on the pumpkins seems to be minimal, remove the infected leaves, vines, or blossoms. Depending upon when the infection set in, this may give the plant enough time to complete production of its pumpkins. If conditions are still favorable for the growth of powdery mildew, it will likely reappear again. Cucurbits, like pumpkins, are highly susceptible to this disease. Plant them in full sun, allow for good air circulation, and avoid excess fertilizer to try and thwart the disease. Use a slow release fertilizer. It is likely that they will need an application of fungicide, however. Fungicides fall into the categories of protectants, eradicants or both. There are two oils that work best as eradicants but have some protectant quality as well – neem oil and jojoba oil. Other horticultural oil brands may be used as well. Don’t spray within 2 weeks of a sulfur spray or when temps are above 90 degrees F. (32 C.). Sulfur has been used for centuries to manage powdery mildew in pumpkins and other cucurbits but must be used BEFORE disease symptoms appear. Don’t apply sulfur when it is near or over 90 degrees F. (32 C.) on within 2 weeks of an oil spray. Lastly, you can try a biological fungicide (Serenade), which contains beneficial microorganisms that destroy fungal pathogens. It is nontoxic to people and pets and kills the powdery mildew pathogen but isn’t as effective as oil or sulfur.